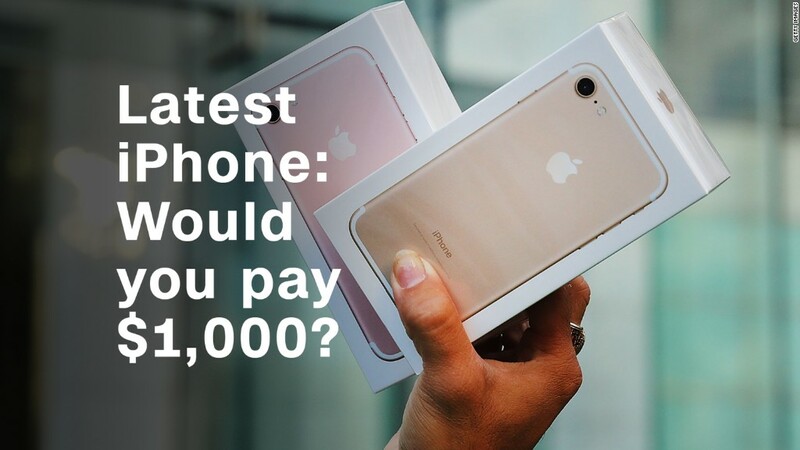 Would you pay $1,000 for the latest iPhone? The tech giant's iconic annual event is back, with no shortage of fanfare. Apple (AAPL) on Tuesday is expected to unveil three new iPhones. Most anticipated: the announcement of a rumored $1,000 iPhone X model. It all kicks off at 10 a.m. PT on Apple's trendy new campus. Here's what to expect from the event, and all we know so far about the upcoming iPhones. Volkswagen (VLKAY), the world's largest automaker, is planning to roll out electric versions of all 300 of its vehicles by 2030. It's a growing trend in the auto industry, which is looking to cater to customers in search of greener alternatives. Daimler's (DMLRY) Mercedes on Monday also announced plans to offer electric versions of all its cars by 2022. A new estimate suggests the two hurricanes will collectively cost as much as Hurricane Katrina did: somewhere around $150 billion to $200 billion in damage. Hurricane Katrina, for comparison, cost $160 billion in damage. Samsung has confirmed longstanding rumors of its plan to release a new foldable phone. Samsung Electronics Co Ltd (SSNLF) mobile chief Koh Dong-jin said Tuesday the goal is to launch a Galaxy Note branded flexible phone. But he also emphasized that development is ongoing, so the launch date isn't final yet. Did you know having a low credit score "can mean the difference of thousands and thousands of dollars"? That's what an expert tells CNNMoney. Here's why it matters so much -- and three easy mistakes you might be making.